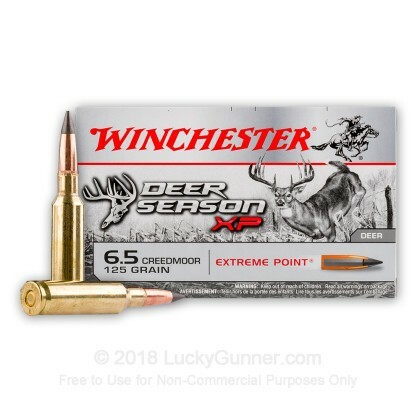 Winchester's Deer Season XP loads are expressly designed to help you hunt down the 8-point buck of a lifetime! 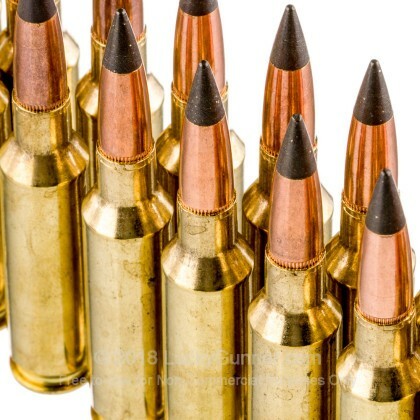 Each of these 6.5mm Creedmoor rounds is constructed using traditional modern components which include reloadable brass casings, non-corrosive Boxer primers which emit a strong spit of flame, and Winchester's own clean-burning grain propellant. 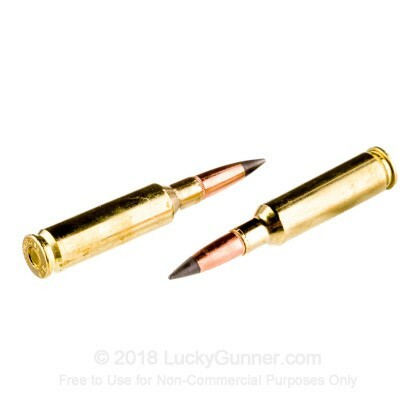 This particular cartridge recipe calls for are 125-grain eXtreme Point (XP) projectile which falls squarely in the middle of common loads for the caliber. The XP bullet design stands out due to its massive, conical polymer tip which mates seamlessly to a copper jacket while enveloping a lead alloy core. During entry into a game target, the projectile bores in deeply, penetrating past thick hide and bone while creating a large diameter wound cavity. As the bullet reaches vital areas, its expansion will cause it to yaw while depositing major amounts of energy into the heart and lungs in order to stop a deer in its tracks. Shooters can expect superb accuracy as a toothed cannelure prevents dislodging from chambering while an overall streamlined shape resists drag while in flight. Winchester ammunition is manufactured in Illinois and subjected to a tedious inspection process that is based on experience learned from over a century of production. 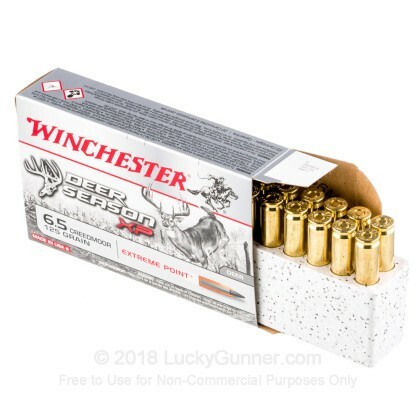 We don't have any reviews yet for this particular 6.5mm Creedmoor ammo from Winchester. 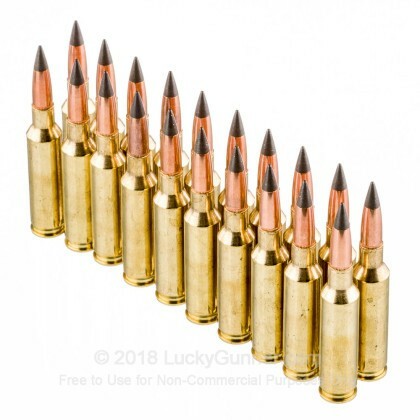 If you'd like to be the first to review this particular 6.5mm Creedmoor ammo from Winchester, fill out the form below. 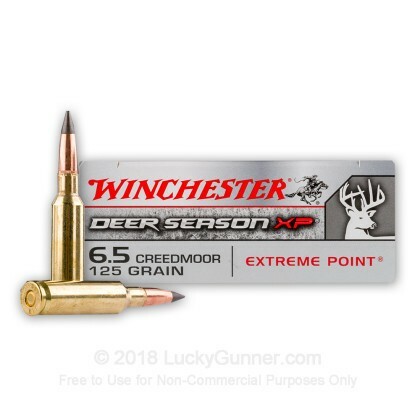 We also have this 6.5 Creedmoor - 125 Grain Extreme Point Polymer Tip - Winchester - Deer Season XP - 200 Rounds ammo in stock in a bigger quantity.